The beautiful Aru, a shade of the Kashmir valley makes the expedition peaceful. Two beautiful twin lakes, Tarsar and Marsar. The lakes are notable for its almond shape. Day 7: Sonmasti to Sumbal. Drive to Srinagar and reach by 5 pm. The prepaid mobile network do not work in Kashmir. You have to carry ID proof in original and 2 photo copies. At Day 7, you will reach Srinagar between 7:30 pm to 8:00 pm. You may book your trasportation anytime after 8:30 pm. Trekking in Jammu and Kashmir is nothing less than a dream; Kashmir offers magnificent trekking destinations such as Kashmir great lakes, Tarsar Marsar lake trek. Waking up in the meadows of Kashmir on your trek to Tarsar Marsar is the lifetime experience for any trekker, Tarsar Marsar lakes trek it like a paradise in Kashmir trekking. Grasslands, the forest of pine trees and the fragrant in your Tarsar Marsar lakes trek will make you experience the most beautiful gift of Mother Nature. Tarsar Marsar altitude is 13,500 Ft. the Tarsar Marsar difficulty level is easy to moderate, this seven days trek in Kashmir valley is so mesmerizing. Tarsar Marsar trek package is worth taking as Tarsar Marsar trek is one of the paradises amongst other treks in India. Best time to visit Tarsar Marsar is between July to September, One can get more snow in July, and Trekking in Jammu and Kashmir is so astonishing and pleasant as it offers the beauty of Himalayas brightly. Tarsar Marsar trekking is the lifetime experience as passing each destination will lead you in the paradise, and when you meet the lakes that would be so wonderful, you will be able to get lost in the Mother Nature. The trek demands a fit body, walking through the pine trees that will be beautiful, and the perfect stillness of the lakes will be fantastic along with the camping beside the glacial lakes. What can be more beautiful than this Tarsar Marsar trek that gives everything in one from adventure to fun? One who has an experience of trekking can do it quite easily, even first-timers can do it as Tarsar Marsar difficulty level is easy to Moderate, but can get little tricky as there will be steeps and boulders at some places. The patches with boulder can create a hurdle for beginners to trek towards Tarsar Marsar Lakes trek, but people with a decent fitness can trek to Tarsar Marsar. Tarsar Marsar trekking could be the most magnificent and incredible journey for the trekkers amongst all the Trekking in Jammu and Kashmir. Yes, the trek can be favorable for children’s, as Tarsar Marsar difficulty level is easy to moderate. This Himalayan trek is graded as easy to moderate trek so it is not a wise choice to take the family to this trek though first-timers can go just in case they have the ability to not giving up. Also maintain a decent fitness also, as the Tarsar Marsar Trek has tricky patches, and a well-planned Tarsar Marsar trek itinerary will make it less tiring for the trekkers. The altitude of Tarsar Marsar Lakes Trek is 13,500 Ft. one can attain the maximum altitude depends on the subject to his endurance and other conditions such as a climate, temperature. The trek will open up the green grasslands, pine forests, the silent, tranquil lakes, and on the higher altitude, everything will look so mesmerizing. The things that one has to keep in mind is to take the proper medication with them at the higher altitude, though we provide every possible thing still it is always better to keep your medicines according to your health. Hydration is the most important when you will trek to the higher altitude, so keep your body hydrated while trekking. The best season for Tarsar Marsar Trekking is from July to September; a trek to this admirable destination can be planned between these months as the destination glows the most, whereas in winters this dazzling destination is always wrapped into the blanket of snow. The Destination offers the splendid view; the landscape is beyond imagination, the gigantic mountains wrapped with snow looks mesmerizing, and the green meadows are ultimate. Enriched by the glory of nature Trekking in Jammu and Kashmir can be the best experience, where this trekking destination Tarsar Marsar is no doubt a delightful one. During the daytime temperature will be 20 degree Celsius, and in nighttime temperature -2 degree Celsius. There is a vast difference in the mountain temperature, and when it’s about the trek to Tarsar Marsar, so it might be possible that one can encounter a little difficulty during acclimatization. 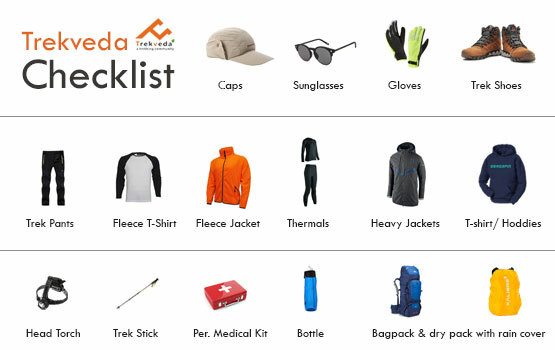 Therefore, it is essential to bring all warm clothes, and that may not even affect the backpack too much. Tarsar Marsar altitude is 13,500 Ft. the trek is the most fantastic one that offers the unusual mix of Himalaya's magnificence and the excellence inside, the entire voyage of Tarsar Marsar top doesn't provide merely the lifetime experience, but it makes one vanquish themselves. Tarsar Marsar trek is a sublime trek among others when it's tied in with trekking in Jammu and Kashmir as Kashmir has bunches of goal for trekking and there is no uncertainty that each one is thoroughly entrancing, the Himalayas are the shelter for India, like this trekking in India in the popular. The most exotic trek that opens up the perspective og green grasslands, and tranquil lakes while in transit towards the Tarsar lake and Marsar lake you will experience the little towns, the Glimpse of culture and politeness people have that will impress you to the core. Each step will give the amazement in every vista where Tarsar Marsar trek takes you through the massive mountains and the breathtaking view all through the way won't keep you quiet by any stretch of the imagination. Tarsar Marsar trek will energize you to achieve the goal. The stream flows downwards and upward along with the green grasslands all through the way and the snow applauded mountains, alongside the scene in the entire voyage will treat the eyes of each trekker with the natural gifts. 1st day of your Tarsar Marsar trek will start from Srinagar and head towards Aru Base Camp which is situated at the bank of Lidder and Aru Rivers. Situated 12 Km of Pahalgam, well-developed tourist spot, where Aru is the base camp for two amazing treks that are The Tarsar Marsar Lakes trek and Kolahoi Glacier trek. We are going to meet at Srinagar from where we going to drive towards Aru via Pahalgam, and the drive is around 3-4 hrs long drive, one more thing to take in consideration is that there is no guarantee of steady networks throughout the way; therefore you need to close of the communication mediums when you reach Pahalgam. Later at Aru, you will reach your camping zone beside the river, there will be a lot to do near Lidder river such as fishing, Tarsar Marsar lakes trek will be so beautiful amongst many treks in India. We will reach Aru in the evening so you will be able to explore the beauty of Tarsar Marsar trek’s first spot. Altitude: 7,950 to 9,150 Ft.
Water sources: Water can be refilled from streams. On your 2nd day of the Tarsar Marsar trek, you will be head towards Lidderwat from Aru the path will be followed the Lidder River upstream. The 9 to 10 km walk from Aru in the soft slope will later make you enter into the thicket of conifers, will reveal the view of the whole Aru Valley. The trailhead into the forest and you will see some huts of Gujjar’s; between the trail, you will reach the Nandekai village house of seasonal migrating shepherd people. As you will continue your walk, you will enter the grasslands and the fir trees thickets the place is the part of Gujjar village. Therefore, you will be able to find horse riding folks and cattle grazers. Soon you will come across a long bridge, the spot will allow you to fill your water bottles, and you can take some rest, and have your lunch if you have carried it from the last camp, from here the second stay the Lidderwat will still be an hour journey. The whole trail will be curvy before you reach the meadows of Lidderwat, where the river will be so crystal clear, in Lidderwat our camp will be at the peaceful spot, you will get enough time before the sunset to walk around and explore the beauty of Tarsar Marsar trekking second camping spot. You will be amazed by the beauty of trekking Jammu and Kashmir that offers wow destinations of Himalayas to trek and another tranquil trek in Kashmir valley is the Kashmir Great Lakes the ultimate destination. Altitude: 9,150 to 11,000 Ft.
Water sources: Enough water sources on the way. On the 3rd day of your Tarsar Marsar trek, the trek will be of approx. 5 hrs long, in half an hour walk you will be able to find yourself inside a pine forest. The Lidder River will be in your back far away, and the woods will not be very thick in the further trek, you will be able to find the stretch of Lidderwat grasslands. On the way, there will be many clear waterways cutting across the path, where you will be able to fill your water bottles. The next destination you will reach will be Homwas, the little village the home to again Gujjar huts on the other side of you, after crossing the bridge you will find some tea shops you can buy snacks and have a fresh sip of tea in nature. The best part of the Tarsar Marsar trek will be that you will find the warm welcome in every village you go to, the hospitality will be so amazing and happy. Along the flowing water, you will later enter the landscape, and the soothing green will again welcome you the stretch pasturelands will be so amazing and mesmerizing in the whole Tarsar Marsar trek. The little more walk will eventually open up the glimpse of the Shekwas the view will be breathtaking, The hospitality of Gujjar’s will be so wow for every trekker, and this is the beauty of trekking in Jammu and Kashmir and the beauty of nature and the politeness of the natives. The area is tranquil and green there will be camping near the green beauty, and you will be able to enjoy the Tarsar Marsar Lakes treks in its 3rd spot. Water sources: Carry enough water; only a few natural sources are available. 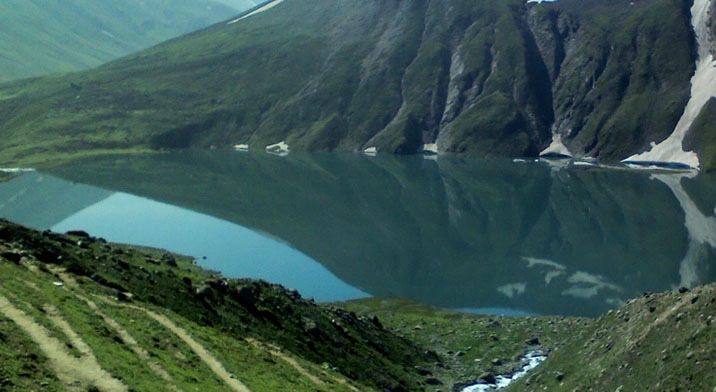 On the 4th day of your Tarsar Marsar Lakes trek, you will behold the beauty of Tarsar Lake, and the trail will move through a silken lawn of nature before actually going there you will be able to behold the water beauty of Tarsar Lake, the magnetic attraction will make you witness the enormous lake. The whole trail towards Tarsar from Shekwas will be of 5 hrs, and there will be ridges in your way to cross so after crossing the ridges it will be of 3 hrs, the more you will walk you will be able to see the glimpse of the lake and successfully by crossing the ridges. The path will open up the Tarsar Lake the mesmerizing lake after you cross the streams, jumping from the boulders and finally jump into the soothing green around the Tarsar Lake, and there you will camp on the 4th day. After reaching there, sit back and relax and dip your feet into the soft grass, and behold the beauty of water and the reflection of the sky into it. 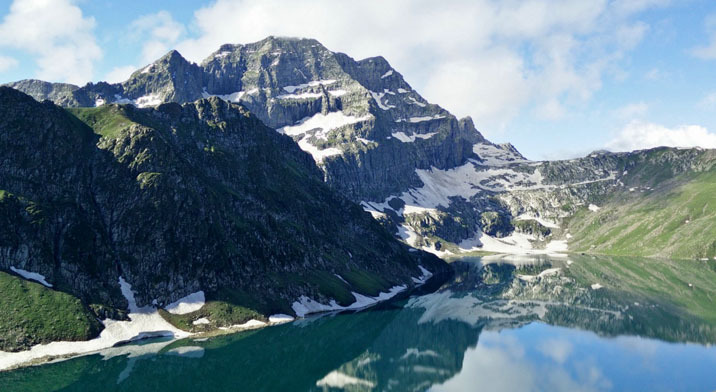 By witnessing the beauty of Tarsar Lake you will admire the beauty of Tarsar Marsar trekking, and the trekking in Jammu and Kashmir will be your best experience, trekking in India in the lap of Himalayas is the boon for every trekker. Altitude: 12,500 to 13,100 Ft.
On the 5th day, the Tarsar Marsar trek will head towards Sundarsar, and the trek will be of 5 Km from Tarsar that will join Sundersar valley through the Tarsar Pass. Initially, we go towards the meadows of Shekwas, and Sundersar Valley, the trekking through Tarsar pass will be time saving comparatively. You will be able to test your stamina on this day as there will be a long walk-on gentle undulation, on the ascent to the pass, the trail will become steeper, but later there will be a gentle slope to Sundarsar. The most magnificent scene will be the view of Tarsar Lake from the other side of the pass, the entire way is wrapped into the grasslands, and you will also be able to take the pictures as the place will be so wonderful. The trail will take its exit from the grasslands to the next place after some time there will be a little blundered trail over the stream towards the Sundarsar Lake but eventually, your day will be so remarkable. The Tarsar Marsar Lakes trek is so astonishing and unusual that will offer everything a trekker wants, the trekking in India or the trekking in Kashmir is not less than a memorable experience. Altitude: 12,996 Ft. to 12,725 Ft. to 10,772 Ft.
On the 6th day of your Tarsar Marsar Lakes trek, you will ascent through Marsar Ridge, later you will also go through the boulders the path will be little slippery snow patched in the rock crevasses. After crossing all the hard pathways such as grasses and partly snow sheeted rock with crevasses over the pass now you will descend slightly to the flat surface, the higher point of the ridges will open up the blues of Marsar Lake. The lake has the same shape as Tarsar Lake and significant as it was, the snow shaded elevation happen to rise offsetting lake, the lake happens to overflow on one side and go down in a glacier stream down to a valley. The snowmelts from the white peak and the water on one side and another you will witness the Dachigam forests starting. As you will be able to see the Marsar Lake thoroughly later you will descend back then you will head to Sonmasti the incredible gift to the Himalayas. You can feel little exhausted as the trail of 6th day will be tiring, but the result of all efforts will be so amazing, the Tarsar Marsar Lakes trek cost nothing but a fit body and the urge of getting an escape in the Himalayas, where trekking in Jammu and Kashmir will give you the ultimate beauty. Altitude: 10,772 Ft. to 6,610 Ft. to 5,231 Ft.
On your 7th day, it will be the day to coming back from your Tarsar Marsar Trek so after few river crossing makes this day interesting. As you descend back to the civilization on the 7th day, you witness the quick change in the scene with meadows giving away to the increasing density of the trees and slowly human beings and other signs of civilization starts. So you will be able to know that now the Tarsar Marsar trekking is going to over soon. With the magnificent, beautiful trek comes to an end, and you will drive back to Srinagar and keep the experience of trekking in Jammu and Kashmir with you for life. The trek expense of Rs. 12,250 + 5% GST takes care of all expenses of the trek from Aru to Sumbal. Backpack offloading charges - If you wish to offload your backpack, there will be an additional charge of Rs. 4,200 + 5% GST. The backpack cannot weigh more than 9 kgs. Suitcases/strollers/duffel bags will not be allowed. Please note that charges will vary for last minute offloading in case you decide to offload your bag after reaching the basecamp (Rs. 4,500 + 5% GST). Online offloading in advance is possible up to two days prior to the trek start date. Buffer day – It is mandatory to have this extra day as any bad weather or rain will delay your pass crossing. If buffer day is utilized, you will need to pay Rs. 2,050 + 5% GST. This amount is to be handed over to your trek leader.